New laws aimed at curbing terrorism which were adopted by the State Duma on the last day of the legislative season have the potential to affect many areas of ordinary Russians’ lives. What do lawmakers hope to achieve with the new ‘anti-terrorist’ legislation and why are people critical of it? State Duma deputy Irina Yarovaya and Federation Council member Viktor Ozerov have initiated a package of ‘anti-terrorist’ laws, which have become a parting gift from the current convocation of the state legislature. The Duma went on summer vacation after adopting the laws and Russians will elect a new parliament this autumn. 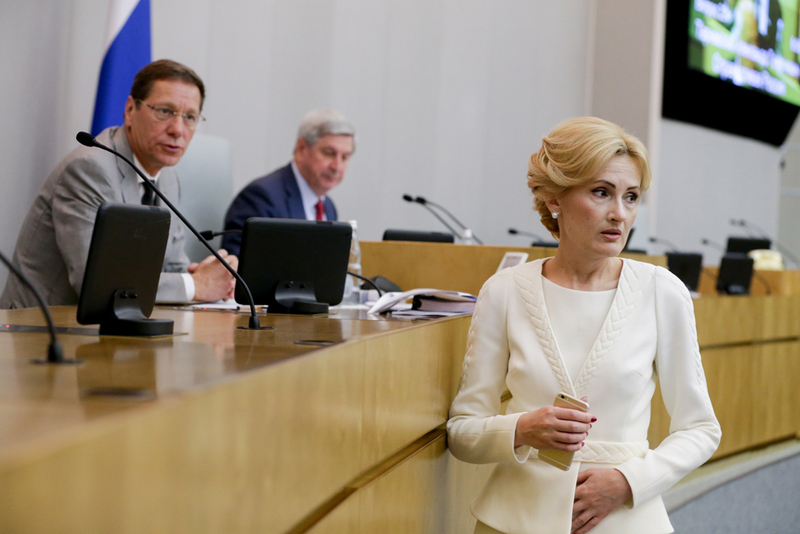 Medialogia, the automatic media analysis and monitoring system, ranked the "Yarovaya package" at the top of the State Duma's 10 most resonant initiatives over the last five years. The package of dozens of bills, which seriously strengthen existing Russian anti-terrorist legislation, has already caused widespread controversy and heated public debate. Several controversial amendments, including one that contains provisions to deprive people of Russian citizenship in some cases, (which is forbidden by the Constitution) were removed from the legislative package before it was adopted. However, several of the other measures can still seriously affect the lives of Russians. Why is the package needed? The new legislation is intended to counteract extremism and terrorism more effectively, and includes a number of laws and amendments aimed at achieving this. “Failing to report a crime” has been added as a tough new law to augment the Criminal Code. It stipulates imprisonment of up to one year for anyone found guilty of hiding information about preparation of terrorist attacks, armed rebellion and other crimes (a total of 15 are listed). The age of criminal responsibility will be lowered to 14 years and, among other amendments, punishment for those found guilty of justifying terrorism on the internet will be brought in line with those for making similar statements in the media (seven years in prison). A number of new measures concern the telecommunications sector. Operators will, from now on, be required to store the content of calls and correspondence of all subscribers for six months and metadata (records confirming that the calls were made) for three years. Internet service providers with data encryption will be obliged to submit decoding keys at the request of the Federal Security Service (FSB). The furore around "Yarovaya's Package" lasted for months. Before the first reading, the document proposed to deprive people of Russian citizenship for terrorist attacks or extremist activity (such as an internet post considered to be an incitement). However, the Presidential Human Rights Council (HRC) subsequently accused the lawmakers of "an absence of logic," and stated that the Constitution prohibits depriving people of citizenship. The government singled out only one point for criticism: the obligation of operators to store such a large amount of information. They have no such technical possibilities, they concluded. However, the clause was eventually adopted. What do authorities and the public say about the package? Speaking about the package, State Duma speaker Sergei Naryshkin said the parliament had been able to find a "happy medium" between human rights and the security of citizens. "Of course, there were disputes, but, in my opinion, a compromise solution was found," he said. The chairman of the HRC, on the contrary, said the law package is "not fully developed, ill-conceived and inaccurate," and should be sent back for revision, something with which Communications Minister Nikolai Nikiforov agrees. According to Nikiforov, the Duma was in such a hurry that it failed even to hear the position of the relevant ministry. Lawyer Sergei Badamshin says it was apparently important for Yarovaya and Ozerov that the package be adopted during the current parliamentary season. "This is a publicity stunt ahead of the elections, an attempt to probe public opinion," he was quoted as saying by online newspaper Gazeta.ru. Public activists are posting links on social networks to pages where people can sign petitions against the amendments. What will happen to the Russian telecom industry? The country's leading mobile operators warn that the cost of communications will rise because of the new legislation. Pyotr Lidov, mobile operator MegaFon’s public relations director, told business daily RBC that prices would rise "at least two to three times," with rivals Beeline and Tele2 making similar estimates. Under the new laws against international terrorism, those committing terrorist acts or threatening terrorist attacks outside Russia, involving death or injuries to Russian nationals, would face life imprisonment. Telecom companies will have to install expensive additional equipment to meet the requirements of the legislation with Mail.Ru Group, the internet communications and entertainment services company, calculating that it would cost $2 billion, while annual support costs would amount to another $80-$100 million. Foreign encrypted instant messaging services are also concerned, as they can be blocked if they do not submit encryption keys. Pavel Durov, co-founder and CEO of instant messaging app Telegram, has already announced his refusal to comply with the requirements of the new law. "Telegram does not give data or encryption keys to third parties, including the government," he said. Can anything still be changed? The package has already been approved by the upper house of parliament, and it is now up to Russian President Vladimir Putin. Theoretically, he could veto it, but this is extremely unlikely. The laws will most likely be signed, but once the elections are over, they will begin to be slowly revised and modified. The Federation Council has admitted that it is ready to make changes, if mobile operators can prove that tariff escalation is inevitable.